I have been in the fitness industry for nearly 10 years, securing my Diploma in Personal Training after receiving a Business & Marketing degree at Brighton University. I have owned and operated Fitnesshub for over 7 years and my inspiration and motivation for people has only increased. I love working with individuals and its this aspect of my job I love the most. It was my passion to deliver my own style and brand of training to clients in order to achieve their goals and i have enjoyed doing this with 100's of clients. Its my own goal to continue to deliver the Fitnesshub brand to as many as i can. I have worked in the fitness industry since 2007. Over this period of time I have developed an extensive repertoire of skills and knowledge, all of which helps my clients to not only achieve their goals, but actually surpass their original targets. I have taught many classes across East Sussex training a wide range of clients of varied experience and ability. Being a GP referral has brought many challenges but also some of the most rewarding outcomes. I love what we are creating here at Fitnesshub and I have really seen how much Brighton's enthusiasm for exercise has increased since my first involvement with it. My vision is to provide the best possible training facility for our City which already brings so many different clientele to Fitnesshub. Lucy is dedicated to helping her clients achieve there goals; each session is individually tailored whether you want to lose weight, build muscle, gain strength or improve your overall fitness. With years of extensive knowledge and experience, which is always improving through her own training, She is our go to HIIT specialist and will apply the most innovative and bespoke methods to make your workouts fun and effective. Lucy is also further qualified in Pre and Postnatal training. Henry specialises in Calisthenics and Street Workout, starting his career as a sponsored extreme sports athlete Henry has carried over his passion for freestyle sports and a love for having fun whilst being active. Henry’s focus is to create engaging and stimulating sessions that enhance the bodies functionality and strength. If you want to learn a specific skill such as the muscle up or handstand this-is-your-guy! If you just want to get moving and see what your body is capable of Henry will apply a unique and fun twist to your training programme. Henry is a level 3 personal trainer and is also a certified calisthenics coach. Iain has always been passionate about sport and fitness. He has played competitive sports from the age of 6, and fell in love with boxing 22 years ago. and has been boxing professionally for 8 years now. Iain trains all clients as well as coaching aspiring young boxers. 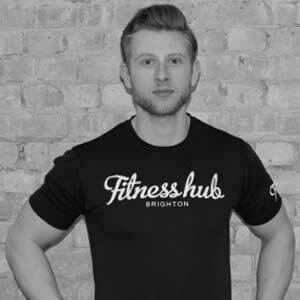 Qualified as a level 3 personal trainer nearly 10 years ago he has continued to develop his skill set through courses and training with specialist coaches. Yo wanted to share her techniques with others so she developed The Transformation Bootcamp for women who want to share their journey with others on a similar path, offering live workouts, mindset coaching and nutritional advice. She offers workouts that are targeted at creating shape and firmness to your body. She uses isolation and hypertrophy techniques to help women get curves in all the right places. Charlotte is not only a Personal Trainer but also a PureStretch instructor. Charlotte works with a range of people to help them get fit and healthy so they can move better, with a particular interest in training the over 40’s. Personal Training with Charlotte incorporates a combination of strength, cardiovascular, flexibility and motor skill activities, to address all areas of health and physical wellness. One of her favorite phrases is ‘It’s never too late’ which can apply to mental attitude, new ways of moving and a fresh approach to health and fitness – and to anything you want it to! Debora owns and runs Beatitude Sports Injuries & Wellbeing from our treatment room. Debs believes in not only treating the injury but also looking to eradicate the cause and preventing future injuries. Continually updating her skills & qualifications we can offer the latest treatments and approach to helping with any injury or ache and pain. • Examination and assessment of injuries. • The rehabilitation of the patient/athlete back to optimum levels of functional, occupational and sports specific fitness. • Planning and implementing appropriate treatment regimes for the injured athlete. • Soft tissue manipulation and sports massage pre and post-activity. • Electrotherapy including modalities such as ultrasound, interferential. Hannah is dedicated towards making her clients feel good about their bodies and reaching their full potential. The fitness and nutrition industry has been Hannah’s passion for over 8 years. After reaching her most recent goal of stepping foot on stage at a bikini contest Hannah has the knowledge and tools for all your goals, From positively changing your mindset, improving stamina, losing body fat weight or building muscle Hannah can create a tailored personal programme for you.